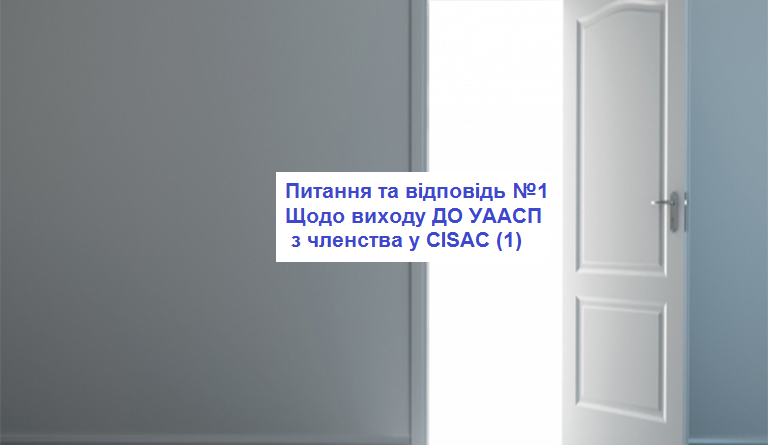 Please, publicize the document which for the first time there was a proposal for the exit from the UACRR to membership in CISAC. Who is the “wise man” who took such a mandate and what is his motivation? Judging by the Protocol No. 4 of 21.02.2018 of the meeting of the Council of Authors to the UACRR, for the first time such a proposal was fixed on February 21, 2018 on the initiative of Rybchynsky Y.Y. The Chairman of the Council of Authors Rybchinsky Yuriy Yevgenyevich introduced to the discussion of the Council of Authors the issue of self-solution by the author’s community of the process of denationalization to the UACRR. Taking into account that none of the bills contains a clear mechanism for deregulation, the subjects of copyright should independently determine the creation of a public organization of authors, composers and other rights holders, which will be the full legal successor to the UACRR. For this purpose, it is necessary to convene a general meeting of the authors. The Chairman of the Council of Authors, Rybchinsky Yuriy Yevgenyevich, noted that, in order to organize itself, the author’s community should take an active public position on the issues of the reform of the collective management of property rights, part of which is the privatization of the UACRR. In order to privatize the UACRR, to reform the sphere of collective management of property rights, a decision was made to actively engage the Author’s Council to the UACRR in correspondence with international organizations and central government bodies and management on these issues. Rybchinsky Yuriy Yevgenyevich, Chairman of the Council of Authors, addressed the issue of terminating membership of the UACRR in the International Confederation of Societies of Authors and Composers (CISAC), noting that due to numerous defamation (1), administrative influence (2), abuse of office of previous leadership (3 ) The normal functioning of the UACRR is not possible (!). In addition (4), the author community has already established a public organization of authors, composers and other rights holders, which is guided directly by copyright subjects in strict conformity with the requirements of the EU directive. To terminate the membership of the UACRR in the International Confederation of Societies of Authors and Composers (CISAC) in connection with the initiation by the authors of UACRR of the public organization of authors, composers and other rights holders. Copy of Protocol № 4 of the Meeting of the Council of Authors to the UACRR on February 21, 2018. Copy of Protocol № 5 of the Council of Authors’ Meeting to UACRR April 2, 2018. That is, only 7 authors-members of the UACRR who were members of the advisory body of the organization, which under the title “Copyright Council” in general had to control the property and interests of the authors, provide advice – advice (paragraph 7.7 of the Statute of the UACRR) exceeded their powers and did their own what had to be discussed at least as at the General Assembly of the authors of the members of the UACRR! To date, there is no full list of the present authors of the members to the UACRR, no minutes have been found for this “general assembly” and questioned the fact that the General Assembly of Authors on the topic of withdrawal from CISAC in general took place. For my part, I would like to add that the “catch-up” with CISAC has all the signs of a crime that causes damage to the state organization (and already has been filed with the law enforcement agencies), but the Ukrainian author’s members to the UACRR have suffered even more. They are deprived of the opportunity to receive royalties from around the world in our OCU because of the fact that only 7 members have made such a decision! By the way, these people today invite you, the authors of the UACRR, to some kind of “new” OKU! Why do they invite you today if you constantly say that you, Ukrainian authors, created those OKU? It is logical that the consequences of this may be appeals to law enforcement agencies from the authors-members looted to the UACRR. The collection of your signatures can be arranged by an active group of authors of the members to the UACRR or by sending your message from your email address to our address open@uacrr.org with the theme “Support 1“, after which we will contact you to receive confirmation and real Signatures of the authors under the Application in a convenient way for you. Dear authors, copyright holders and colleagues! We are going with you to the legitimate public organization of authors, creators, which is prescribed in the Law of Ukraine and which should absorb all the good that has been acquired by the state organization for many years. We work for you! If someone has seen, or has protocols of the General Assembly of Authors to UACRR in February 2018, or has been present at the specified General Meeting – I kindly inform you to inform all authors of the members to UACRR with such information within our project.